The Salli Saddle Elbow Rest arm accessory provides stable support for demanding hand tasks and precision work. The Elbow Rest enhances hand acuity and reduces shoulder strain for prolonged, static hand tasks. 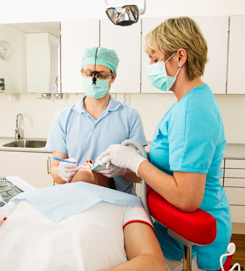 Surgeons, dentists, dental assistants, and lab workers who perform long procedures. Padded wrap-around support surface is approximately 28.8 inches long and 2.7 inches wide. 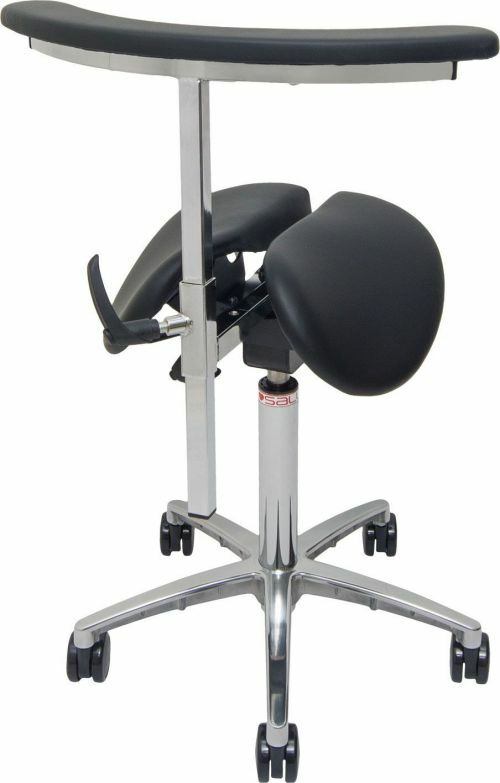 Height and fore-aft adjustable for precise arm positioning. Upholstered in hard-wearing natural leathers or surgical-quality synthetic leathers. Compatible with most Salli Classic, Twin, Chin, TripleFit and Multiadjuster models. 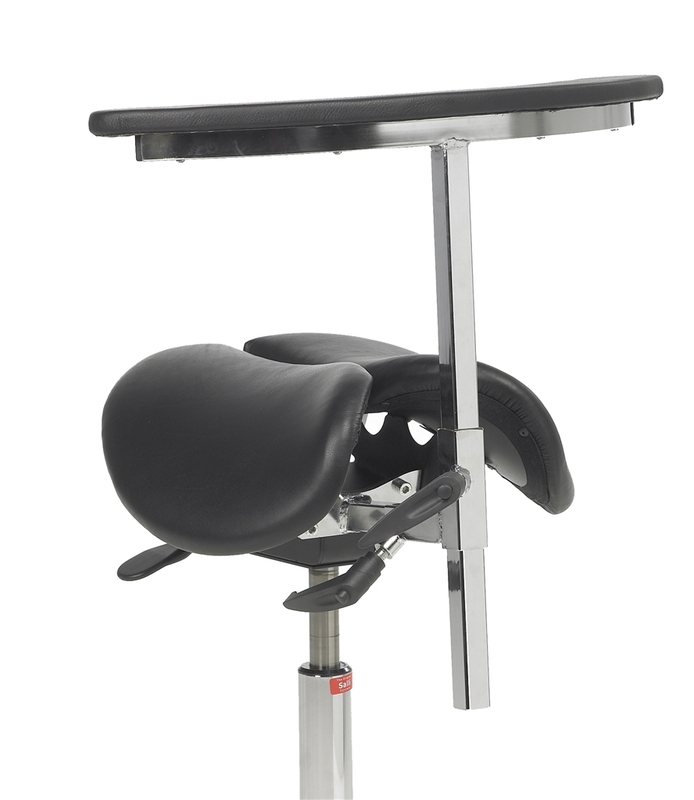 Please Contact Us to confirm compatibility with a previously purchased Salli Saddle Chair. Requires an oversize 600mm diameter 5-star chair base. Base upgrade is included when purchased with a Salli chair. Base must be purchased separately if installed as a retrofit.